Christy Turlington is a supermodel who was famous during the nineties and at that time was competing with Claudia Schiffer, Linda Evangelista, and other recognized beautiful women. Her biography is a typical story of the American dream which had come true. Though her brilliant career is not the source of happiness for her: at present Christy considers that her life's goals are to take care of the family and help young mothers in the developing countries. Christy was born on the 2nd of January, 1969 (she is a Capricorn by her Zodiac sign) in the town of Walnut Creek in California. Her parents worked in the airlines' company. Except for her, there were three more sisters in her family. Her father is an American by his origin, and the future model inherited her exotic appearance from her mother, who was born in El Salvador. In childhood, the girl didn't even dream of the modeling career in the fashion industry. Christy adored the horses and was fond of the equestrian sport: she tried to spend every free minute at the stable. Every day she trained a lot and took part in the local competitions. At the age of thirteen, the teenage girl with bright appearance was noticed by photographer Dennie Cody. He had to ask for the permission of Christy’s parents for the shooting. Her father liked his daughter’s interest in the equestrian sport, but he wasn’t happy with her involvement in the model business. The beginning model herself hasn't taken this new hobby too seriously. Though she earned decent money for the photos (she already received $100 an hour for her first work). Christy decided to conclude the contract so that she could pay for her equestrian lessons. The schoolgirl had to work in the evenings and at the weekend. Her participation in the series of advertising shootings for Emporium- Capwell shops became her first work. After that, she began to receive many offers to take part in the shootings, and soon Christy became famous far beyond the limits of her hometown. The Ford Models agency suggested the girl the contract in Paris. The deal finished unsuccessfully: the pictures were considered a failure and Christy had to come back to the USA. The head of Ford Models agency Eileen Ford was planning to turn Turlington into the star, and she didn't intend to give up after the first unsuccessful try. She began to send the model's photos to the magazines including Vogue American edition. By that time the sixteen-year-old Christy became aware of the fact that modeling was her true calling and began to build her career seriously. From the cute girl, she has already become a beautiful woman with the fine figure (Christy is 1,78 m tall, and her parameters have always been close to ideal– 86-56-89, and she weighs 49 kilos). For the first time, the model appeared on the cover of the Italian Vogue in 1987. Later Turlington took part in the shootings for Cosmopolitan, Harper's Bazaar, Glamour and was invited to take part in the fashion parades of Christian Lacroix, Karl Lagerfeld, Gianni Versace. In 1989 Christy became the face of Maybelline cosmetics company and was the face of the Eternity fragrance from Calvin Klein. The photographer Terry O'Neill thought that the model was similar to the antique goddess and admitted that Christy's beauty would always be famous. At the peak of her glory, Turlington earned from $1,8 million to $3 million and was shooting less than two weeks a year. The Museum of Modern Art has perpetuated the model’s lines, having ordered 120 dummies to demonstrate the dresses. The faces of these dummies were made on the mold from the supermodel’s face. Christy was fond of yoga and spiritual practices. In 1994 the girl decided to study: in spite of the considerable life experience that she already had, by that time the model had the only secondary education. 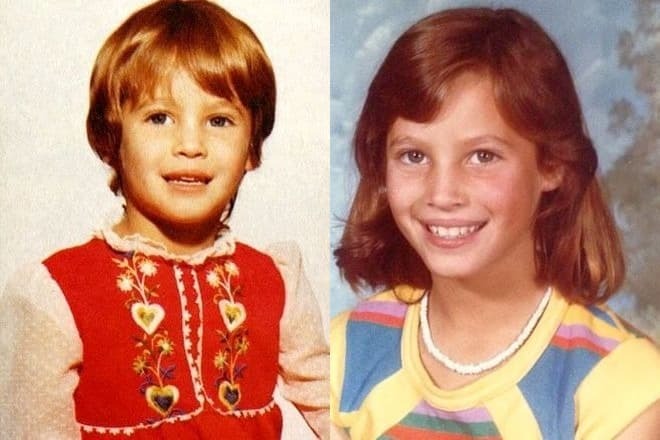 In 1999 Christy Turlington graduated from the Gallatin School at New York University and received the Bachelor’s degree in Eastern philosophy. Sometime later the model even wrote the book "Living Yoga: Creating a Life Practice." Despite this hobby, Turlington doesn't observe a rigorous way of life. She has been a vegetarian for some time, and then she again began to eat meat. Unlike the majority of the models Christy let herself smoke, but when her father died of the lung cancer, she gave up smoking and became an ardent opponent of tobacco. In her personal life, the beautiful model had love affairs with the actors Roger Wilson, Christian Slater, Jason Patric. These were the flings, and none of them became the milestone in her personal life. 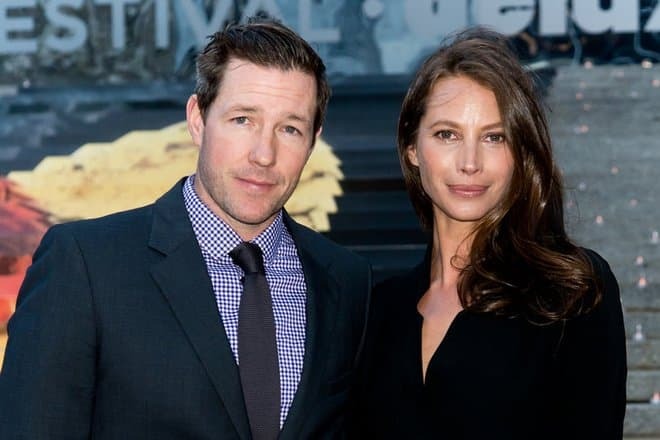 Christy’s husband is the actor, director, and scriptwriter Edward Burns. Their relationship has been long-lasting and somewhat difficult. They got acquainted in 2000 and nearly at once announced their engagement. Though, in a couple of weeks after this event there burst out the events of the 11th of September in the USA. Christy and Edward decided that it was inappropriate to celebrate the wedding during the days of the national mourning. In a short time they broke up, and in 2003 they met again and became aware of the fact that they wanted to be together. On the 7th of June of the same year, the couple at last officially registered their relations. Already on the 25th of October Christy gave birth to their firstborn – the daughter Grace. In 2006 their son Finn was born. 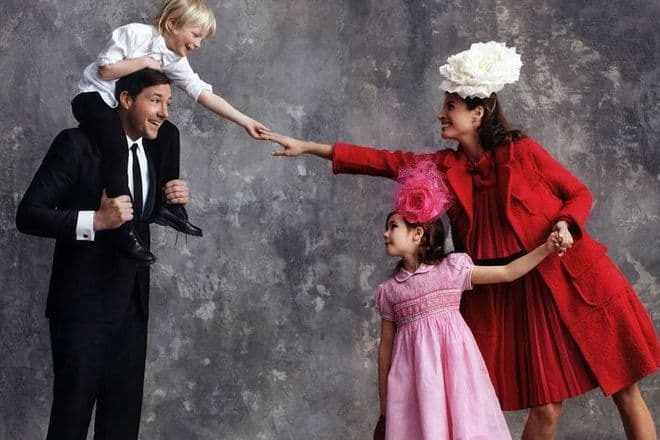 The supermodel is very caring and sensitive with her husband and children. By her words, the fashion industry didn't demand the soul pressure and didn't bring her great pleasure. But it was the motherhood which became a true honor for her which delights here every day. At present Turlington has settled in the big house in New York and tried to appear rarer in Hollywood. The star model of the nineties continues her career at present times. In 2018 she appeared in H&M advertising campaign. "I was never afraid of getting mature, – has said Christy in on of the interviews. – Every year I feel better and better. I’m not against the plastic surgery or Botox injections, but I consider it's not necessary to take too much efforts to look young". At present Turlington is the face of the Imedeen anti-aging cosmetic company and the network of Fashion Café theme restaurants. Besides, she helps the charity organizations which deliver humanitarian aid to El Salvador. Moreover, she stands again wearing fur and trapping. In 2005 Christy founded Every Mother Counts charity foundation. Her first childbirth turned out to be difficult, and Turlington became interested in the help to the young mothers in the developing countries. The model received the Master's degree in the sphere of Social Health Care especially for that. Christy Turlington's foundation organizes schools of the birth attendants in the countries of the Third World. Moreover, this fund creates the support programs for the families and solves the problems of the medicine and equipment delivery to the hospitals. In 2010 Christy shot the film No Woman, No Cry dedicated to the maternal mortality. The supermodel uses the social networks for her working aims: she has pages on Instagram and Twitter where she shares the information on the fund’s activities, writes posts about yoga and women’s health.